Over the last few weeks, most of the multi-national pharmaceutical companies have reported results for 2018, which has given us the opportunity to update our industry statistics and drug database. This report provides the first publication of global and US rankings of the top 15 drug companies for 2018. Comparisons are made with historical data to show how different company strategies have evolved. In addition, analysis has been provided for the evolution of therapeutic biopharmaceutical drugs, which saw sales rise 7.5% to $219bn, representing 25% of the market, and driven by growth in antibody-derived drugs. 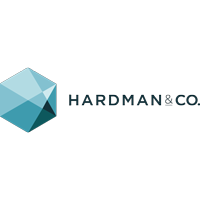 Global market: Hardman & Co estimates that the worldwide prescription drug market had underlying growth of 4.3%, boosted to 4.8% in USD terms, in 2018 to $865bn, up from $825bn in 2017. This is consistent with the 5% growth rate that was reported in the annual reports of several drug companies. US market: The US market was an important driver of growth, rising 4.3% to $337bn in 2018, from $323bn in 2017, representing 39% of the global market. The FDA approved a new record number of drugs in 2018, with 59 approvals, reflecting the Commissioner’s stated goal to improve the agency’s efficiency. Biopharmaceuticals: The spend on drugs classified as biopharmaceuticals grew 7.5% to $219bn in 2018; these drugs now represent just over 25% of the entire market. Within this category, drugs using antibody technology grew 16.7% to ca.$116bn. Best-selling drugs: Humira (AbbVie) remains the biggest drug, with ex-factory sales approaching $20bn (+8.2%). The top 10 drugs in the world had reported sales of $82.1bn in 2018, and represented 9.5% of the entire market. On a cumulative basis, there remain six drugs in the $100bn club. R&D investment: The top 15 drug companies by sales re-invested 20.8% of Rx drug sales into new drug development, spending $90.7bn out of the total spend of $122bn by the 40 largest companies. The average R&D spend was $7.0bn, ranging from $9.9bn (Roche) to $3.4bn (Bayer). Featured companies: AbbVie (ABBV US00287Y1091), Amgen (AMGN US0311621009), AstraZeneca (AZN GB0009895292), Bayer (BAYGN DE000BAY0017), Bristol-Myers Squibb (BMY US1101221083), Celgene (CELG US1510201049), Gilead Sciences (GILD US3755581036), GlaxoSmithKline (GSK GB0009252882), Johnson & Johnson (JNJ US4781601046), Eli Lilly (LLY US5324571083), Merck & Co (MRK US58933Y1055), Novartis (NOVN CH0012005267), Novo Nordisk (NOVO DK0060534915), Pfizer (PFE US7170811035), Roche (ROG CH0012032113), Sanofi (SAN FR0000120578), Takeda (4502 JP3463000004), Teva (TEVA US8816242098). Click ABBV AMGN AZN BAYGN BMY CELG GILD GSK JNJ LLY MRK NOVN NOVO PFE ROG SAN TEVA for the full archive.